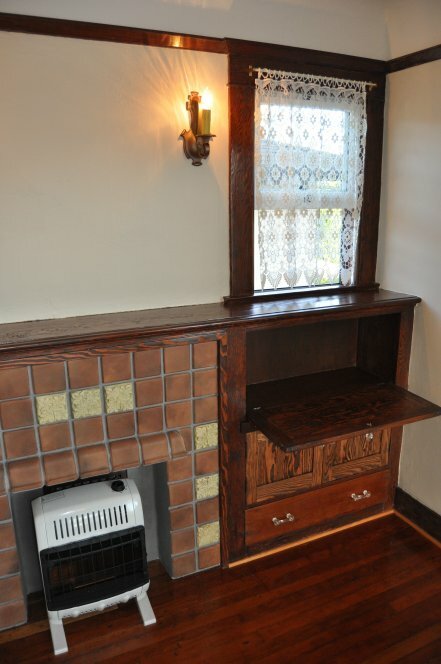 The living rooms featured a beautiful mantle with a built-in bookcase and other assorted built-ins. Douglas Fir was used for all the wood finishes and it was stained dark. Windows added light and ocean breezes and the drop down desk was very efficient. 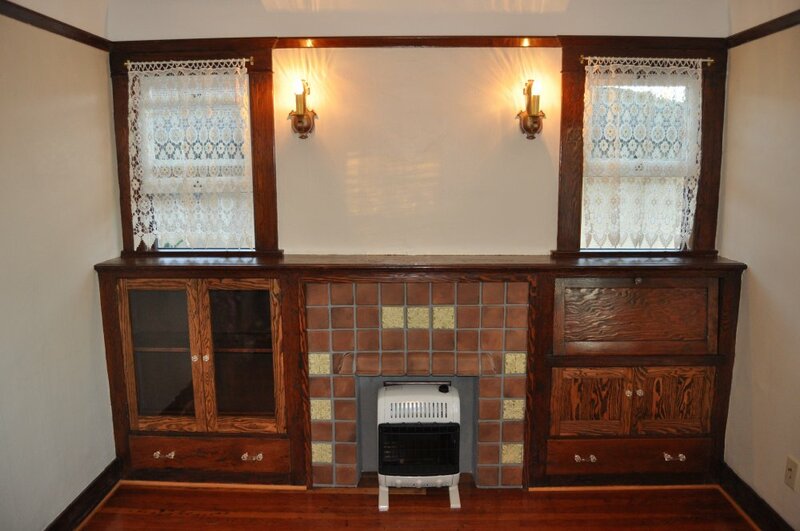 The tile is “faux” and is a type of cast cement that was painted to look like Batchelder (a popular tile artist during the 1920’s). 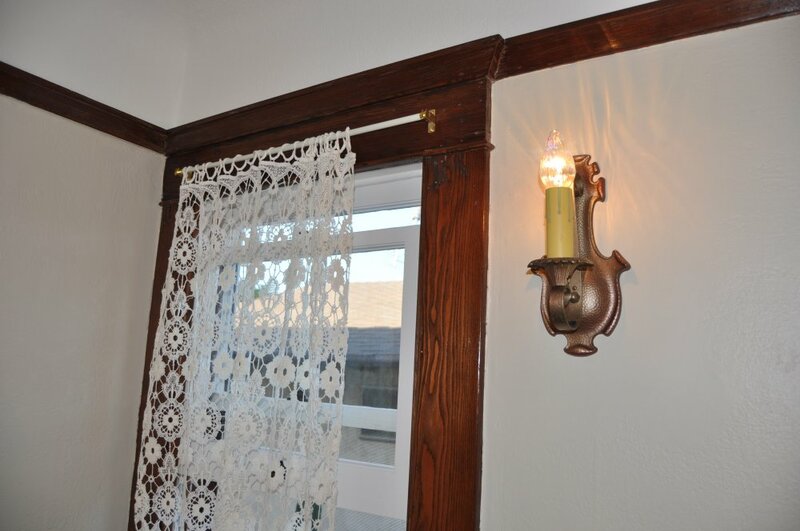 The original wall sconces were still intact. Picture molding were used to separate the walls from the high coved ceilings.